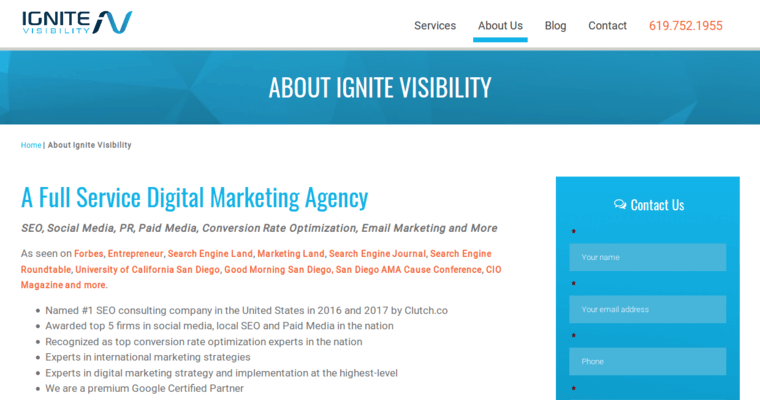 Ignite Visibility is a social media marketing agency that's based out of San Diego, California. This agency offers many types of services to their clients. Ignite Visibility currently works with over 150 clients, ranging from small businesses to large corporations. Considering that, they're receiving an award for excellence in the field of online marketing. In order to create effective online marketing campaigns, Ignite Visibility works to understand a client's main goals. This allows Ignite Visibility to create customized solutions for each client they work with. 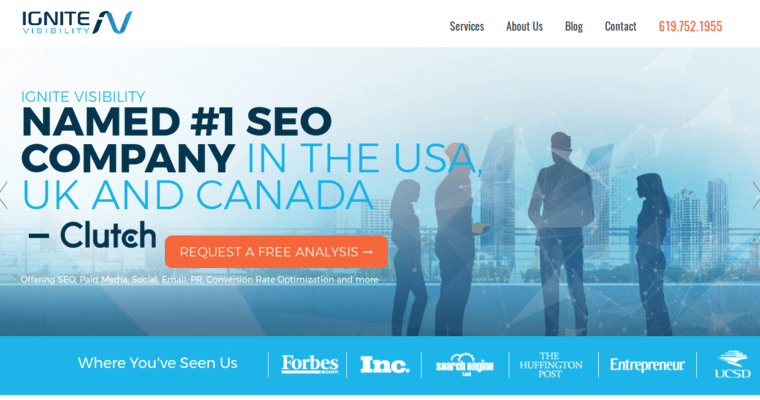 Ignite Visibility also offers internet, social media, email, Amazon, and PPC marketing services. 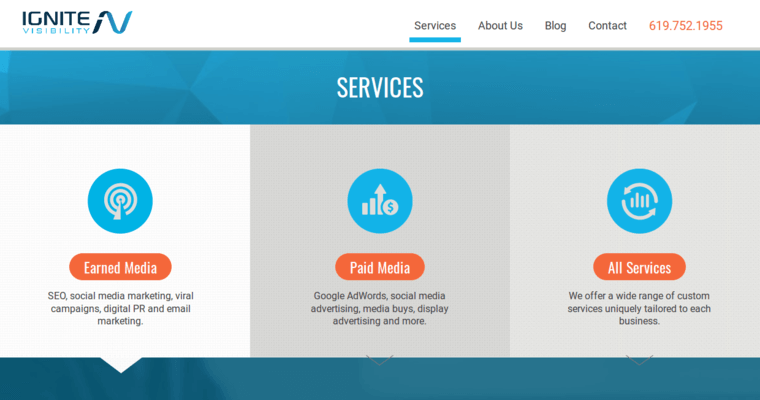 If you're needing assistance reaching your company's online marketing goals, consider working with Ignite Visibility.